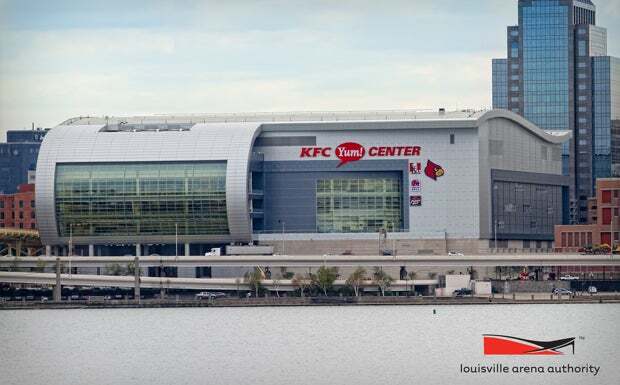 The Louisville Arena Authority was created in 2005 under the direction of then Kentucky Governor Ernie Fletcher, and oversees the financial process of the KFC Yum! Center. The Arena Authority guided the development, financing and construction process of the $238 million arena. It also selected the financing, construction, design and management partners, which includes AEG Facilities as the current managing and operating entity. A list of the financial reports of the KFC Yum! Center as presented at the Louisville Arena Authority Board Meetings can be found below, starting with July 2012. For reports prior to this date, please submit an open records request to Lauren Annan. All meetings are held in the KFC Yum! Center's Jim King Board Room and are open to the public and the media. Please note that the below schedule is tentative and subject to change. March 11 at 9:00 a.m.
May 13 at 9:00 a.m.
July 15 at 9:00 a.m.
September 9 at 9:00 a.m.
November 11 at 9:00 a.m.
First Amendment to Lease Agreement between Louisville Arena Authority, Inc. and University of Louisville Athletic Association, Inc. There are currently no active proposals. For more information or questions about the Louisville Arena Authority, please contact Sandra Moran: (502) 690-9278. Media looking for information not found in the "financials" or "archives" section of this page can submit an open records request by clicking here.